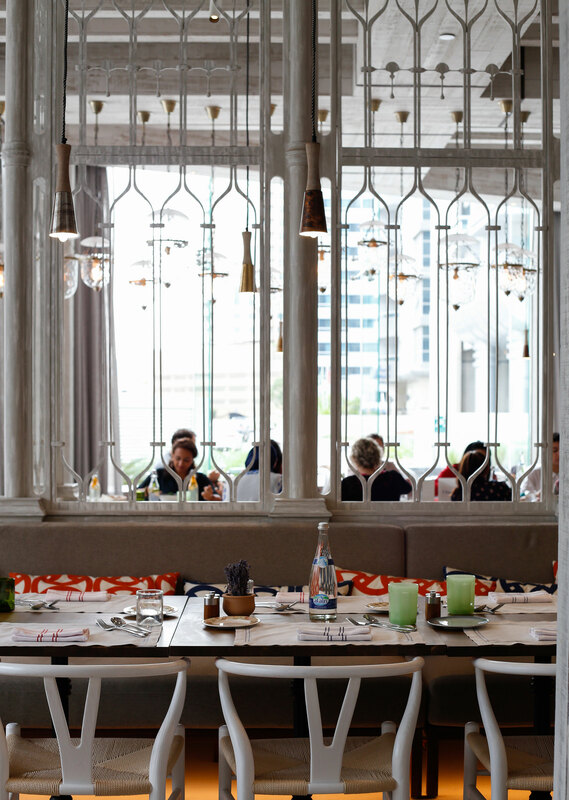 Ostro – the traditional Italian name of a southerly wind that blows over the Mediterranean Sea – seems to be Barsha Height’s (neighborhood in Dubai) best kept secret. 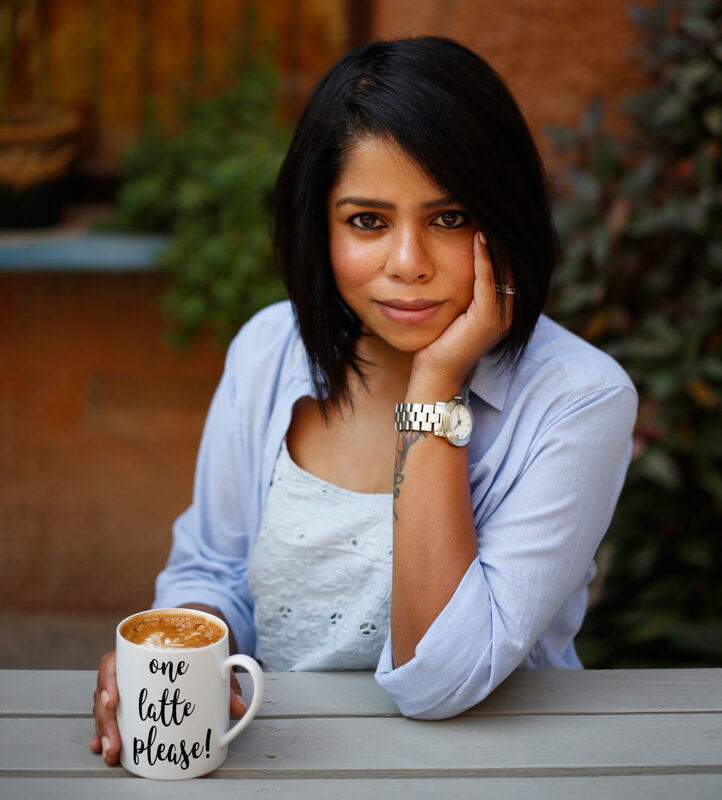 I am of course, not talking about the wind but the restaurant! 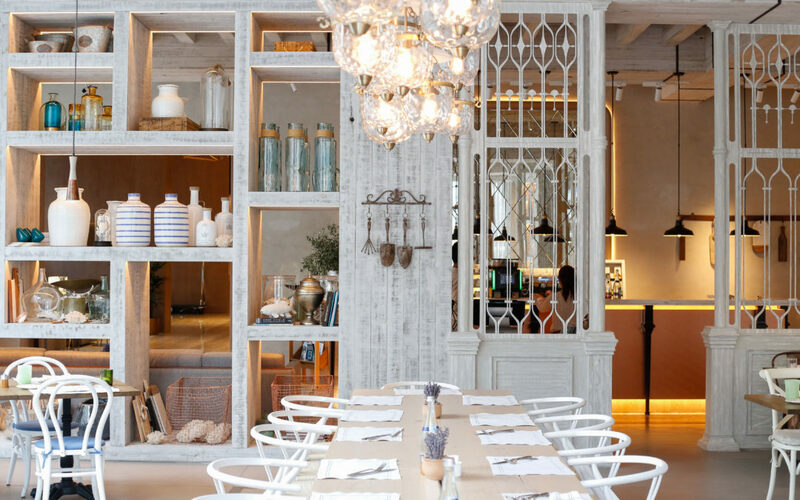 From the moment I walked into Ostro, it felt like I was transported right back to a beautiful little tavern in Mykonos, Greece. The interior is like my fantasy pin board on Pinterest. I couldn’t stop taking photos! Seriously, it has got to be one of the most photo-friendly places I have visited in a while. We began with drinks. This was the Chamomile Martini with strawberry, elderflower and ginger. 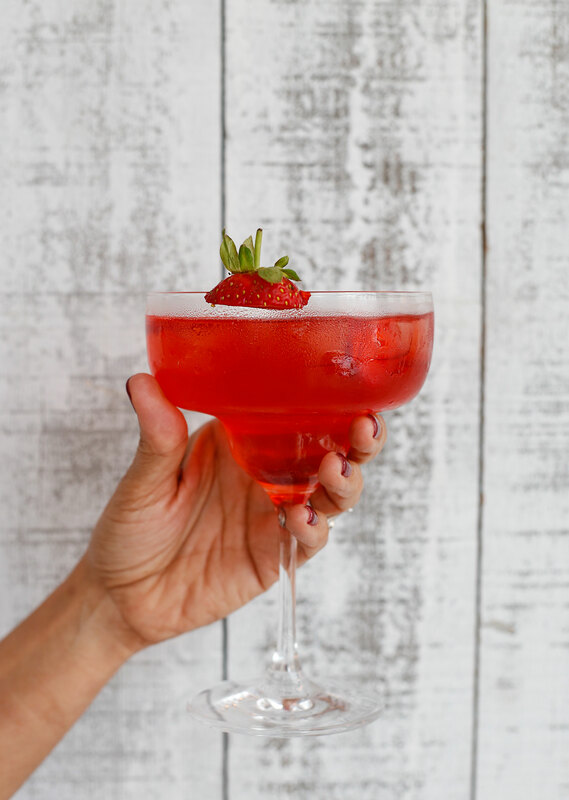 Picture perfect mocktail! These two were our favorites. 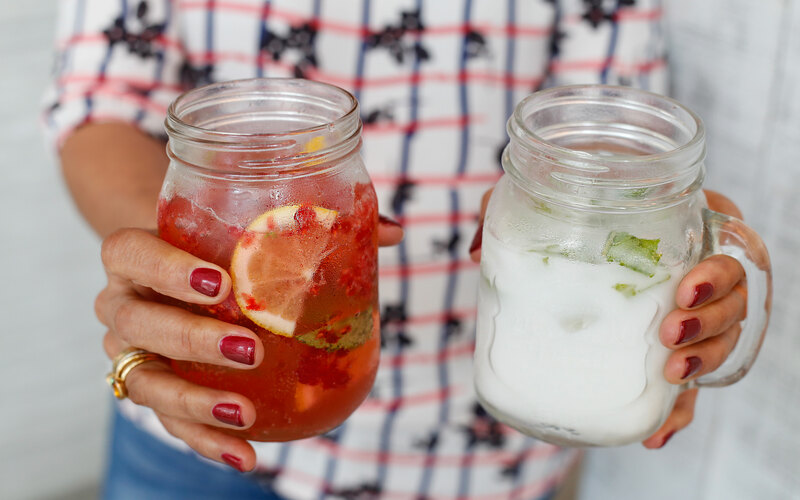 The Pink Mojito with red currants, mint and sprite & the Coco Mint with coconut water, cucumber and mint. They both were just as refreshing as it sounds. 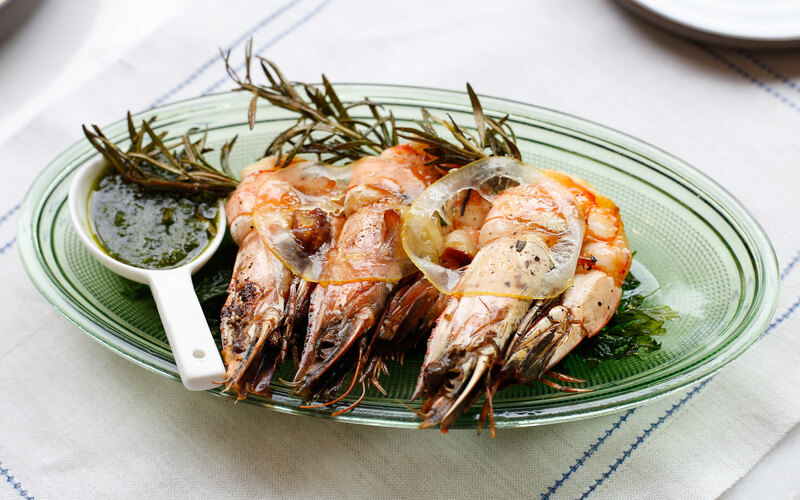 For appetizers we began with Gambas A La Plancha – griddled shrimp, garlic, olive oil and lemon served along with a salsa verde. Cooked to perfection, we could easily have had a few more of these succulent delights. 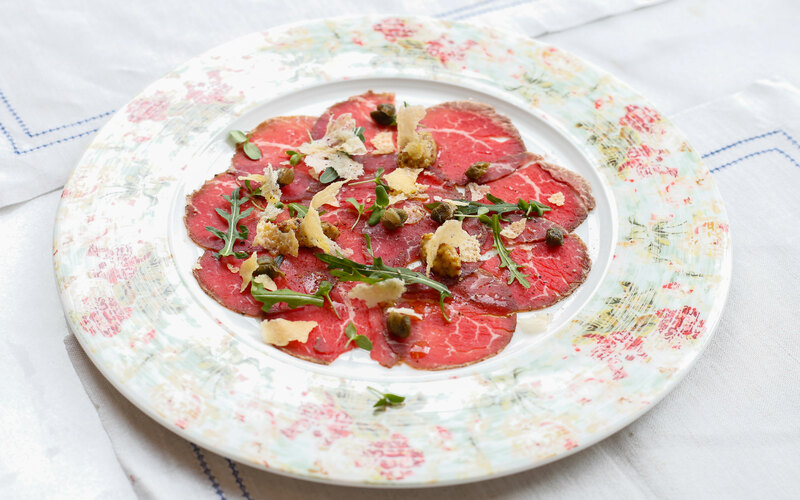 Carpaccio Di Manzo – Pepper crusted beef tenderloin, parmigiana reggiana and capers. Loved the dish, loved the plate even more! Saganaki – This dish took me right back to Greece. 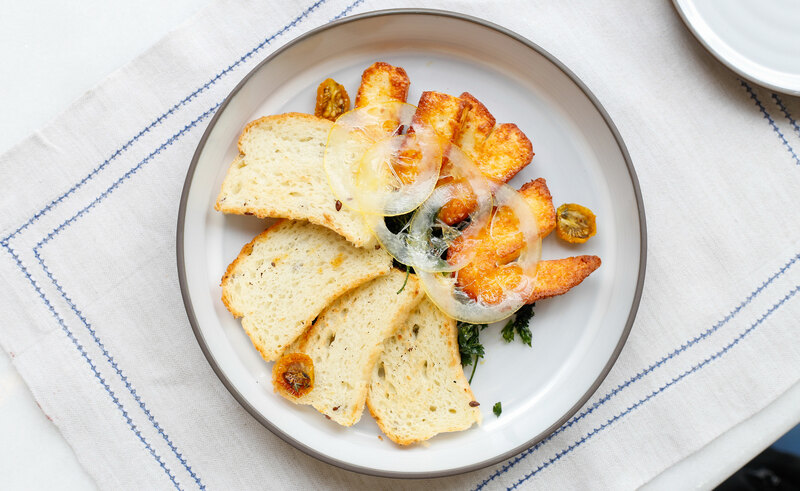 Pan seared halloumi, lemon and olive oil served with chard gluten free ciabatta. Quite filling, so go easy on this. 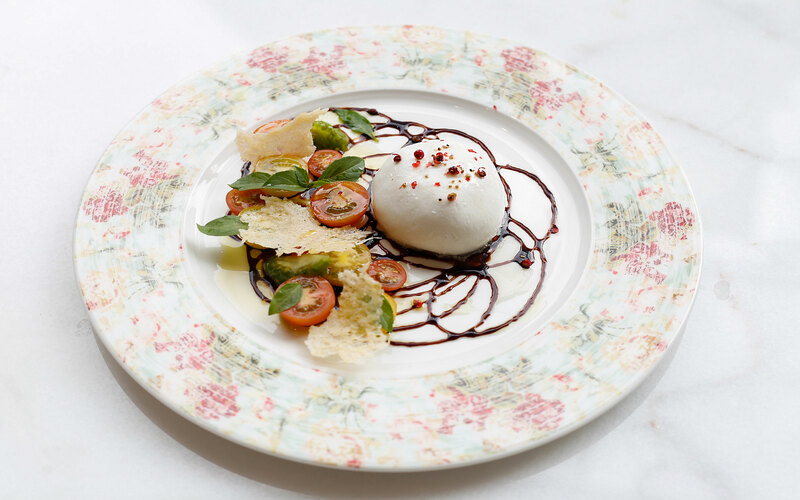 Everyone’s favorite – Insalata Burrata, and yes, it lived up to all the expectations! Burrata cheese, heirloom tomatoes, basil, olive oil and aged balsamic, all perfectly in tune with each other. The plating was so good, it almost seemed a pity to cut into it. 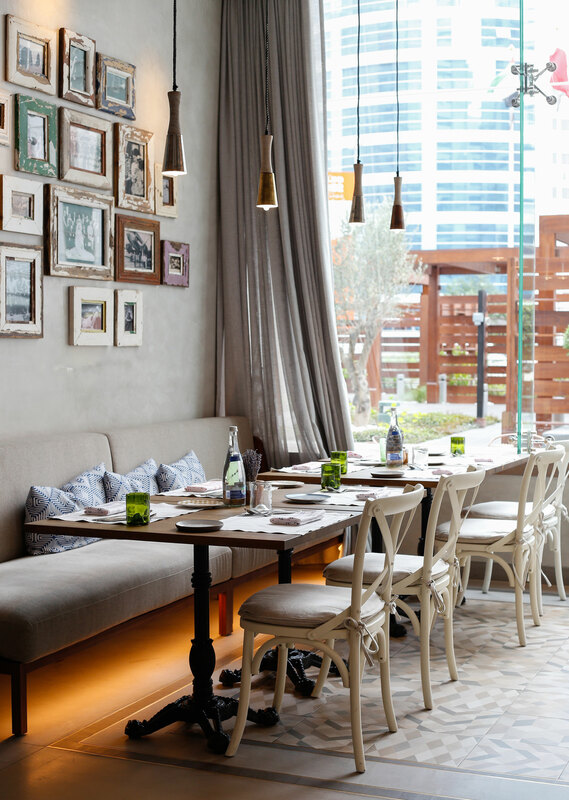 Entrees began with the Costata Di Manzo – 275 gm rib eye steak served along with your choice of sauce and side. 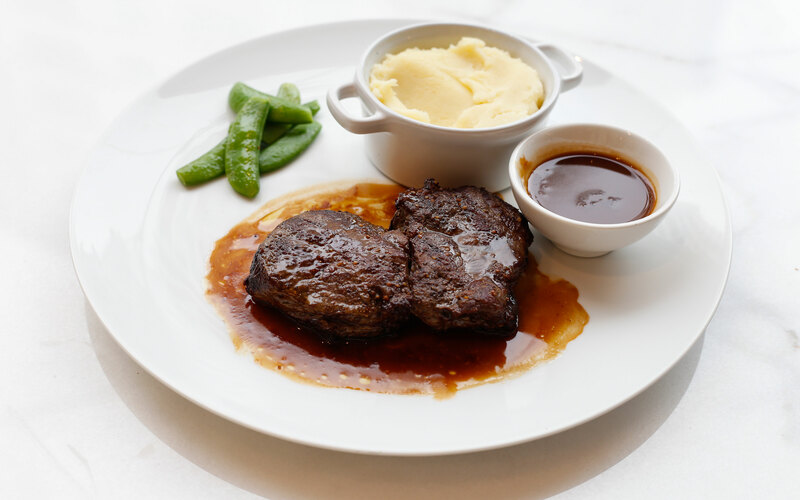 We went with the aged balsamic beef ju and the creamiest truffle mash potatoes. To me, if the steak is done right, then the restaurant has pretty much passed the test on the rest of the menu. This was perfectly medium-rare (just how I like it) and scrumptious! 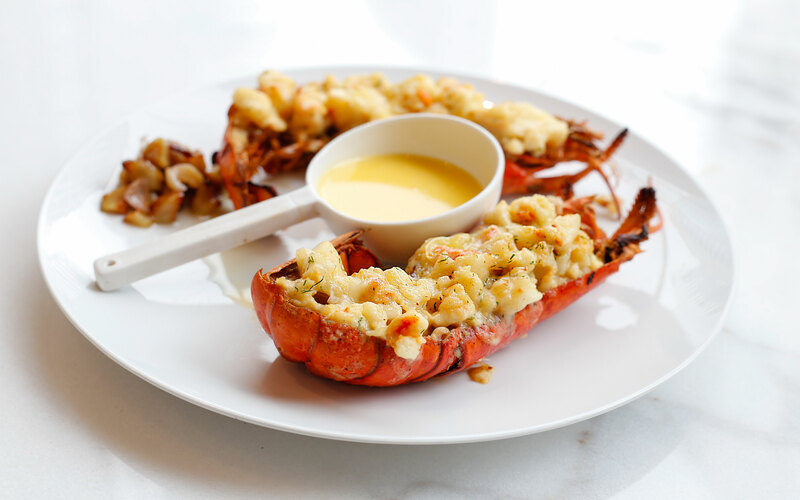 Grilled Marine Lobster along with a beurre blanc au citron sauce and caramelized garlic. Think we all went to food heaven! It was delectable! Would highly recommend it if you are a seafood lover! This was a complete contrast to the lobster in terms of taste. 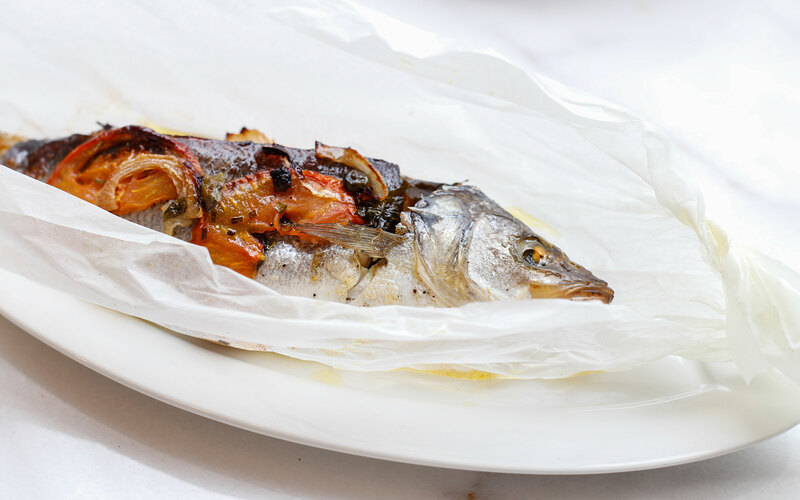 While the shell fish boasted bold flavors, this oven baked sea bass with roasted garlic, tomatoes, onion parsley, basil, lemon olive oil and capers was more mellow but just as enjoyable and very healthy too! 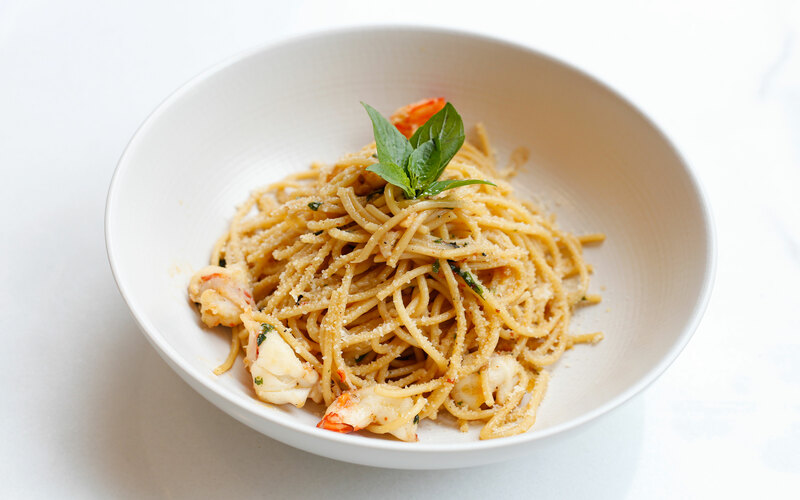 Every time I see spaghetti aglio e olio on the menu, I find it real hard to order anything else! Al dente pasta tossed with garlic, basil, extra virgin olive oil, red chili and grana padano cheese. The staff was kind enough to add some shrimp at my request and just like that, it turned into my perfect pasta dish! No matter how stuffed you are, there is always place for something sweet. Some may argue it is the best part (the jury is still out on that one for me)! 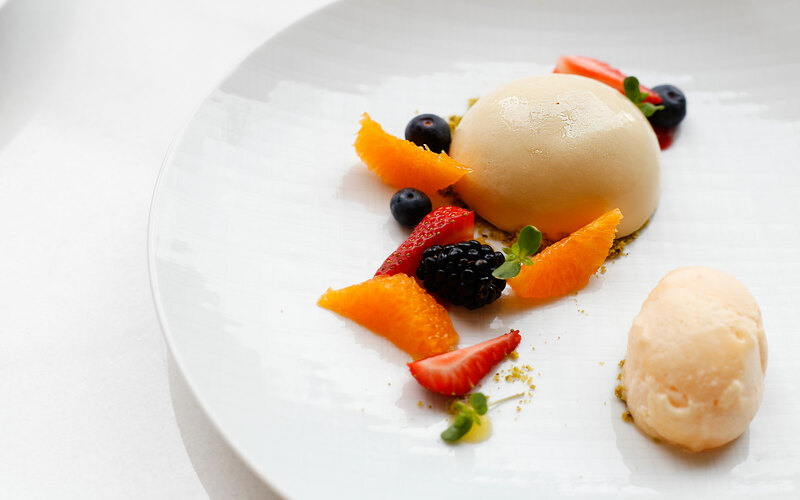 We started off with the burnt honey and yoghurt panna cotta with caramelized apricot, pistachio crumble, apricot foam and orange sorbet. Such a fresh and cooling dessert – plus it looks like this!! 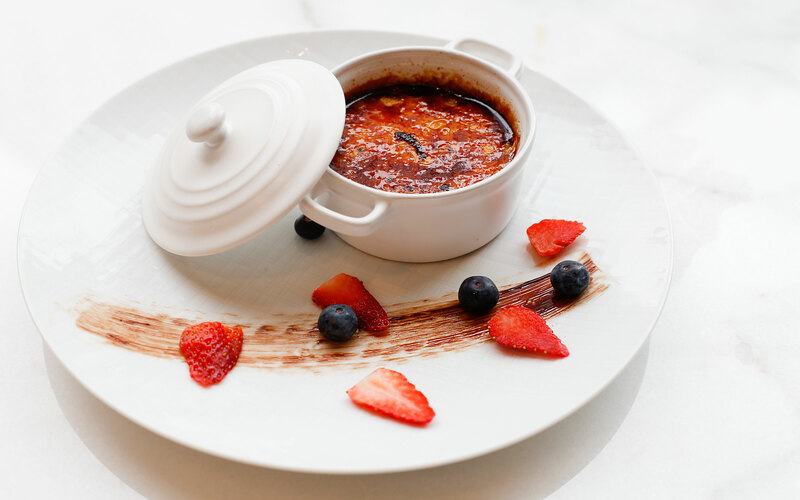 Anyone who is a fan of creme brûlée (I really don’t know anyone who isn’t) should try out the creme catalana – vanilla, cinnamon, custard, caramelized sugar and fresh berries. Luscious and decadent! Now this was the show stopper! 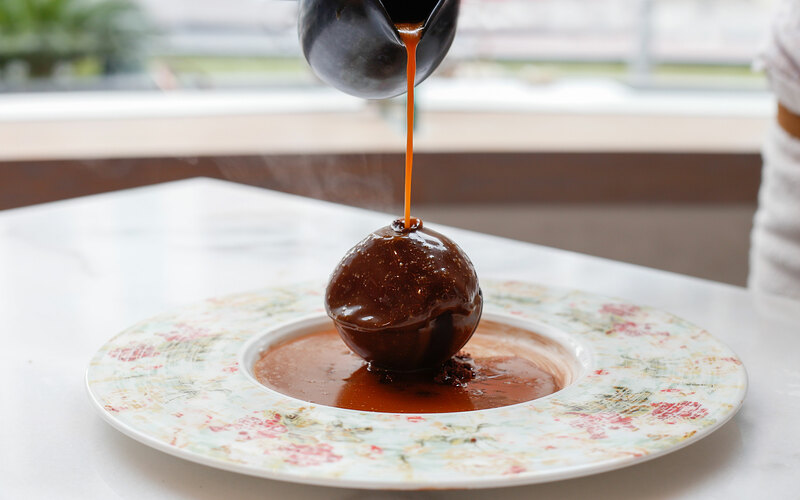 The chocolate basil bomb – A dessert with ‘all that jazz’. Dark chocolate, basil, cream, chocolate dome, chocolate soil, turkish coffee ice cream and a chocolate basil sauce! So, so good!! Forget the calories, shmalories – just indulge! The service was a bit slow. 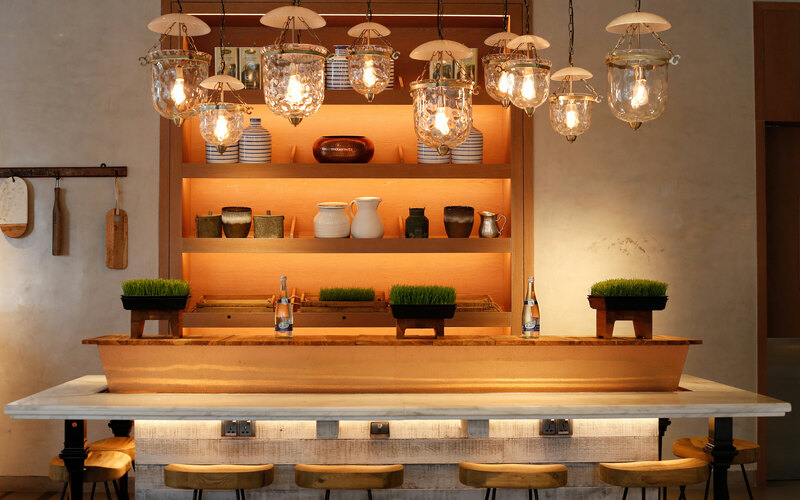 But the warm ambiance, great food and friendly staff more than made up for that one hiccup! All in all, a great gastronomical experience!